Indie Retro News: Treasure Island - A new speccy game in development with a classy Pirate tune! Treasure Island - A new speccy game in development with a classy Pirate tune! 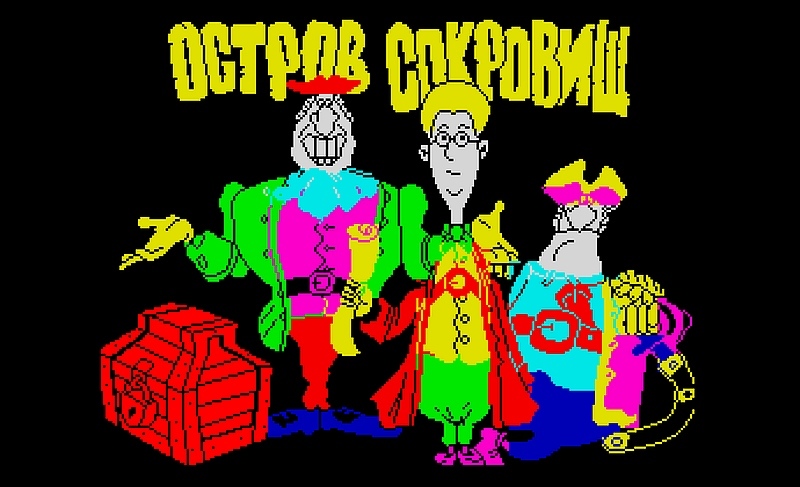 It's a Thursday and do we have a ZX Spectrum treat for you, as announced through the Russian idpixel website a new game is in development called ' Treasure Island ', that doesn't just look fun to play, but the music sounds absolutely brilliant and you can't help but tap your feet to it. This game which is also being discussed on a Russian forum, is apparently going to be based on the Soviet cartoon ' Treasure Island ' and will be released in 2018, with an inspiration to Dizzy and Pyjamarama. According to the website in relation to this game as it is in Russian, they are assuming this is the same ' Treasure Island ' which was started in 2016 by Epsilon Games, that also released the excellent clone of Battle City. The game itself will have a big ship, lots of intricate quests, funny dialogues and you'll be able to meet with your favourite cartoon characters in order to help Jimmy equip a ship, assemble a team, and finally, to sail to the island, where the old Flint buried his money.